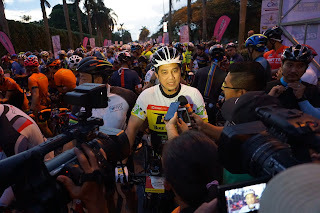 YAB Dato’ Seri Mohamed Azmin Ali, Menteri Besar Selangor at the start line. 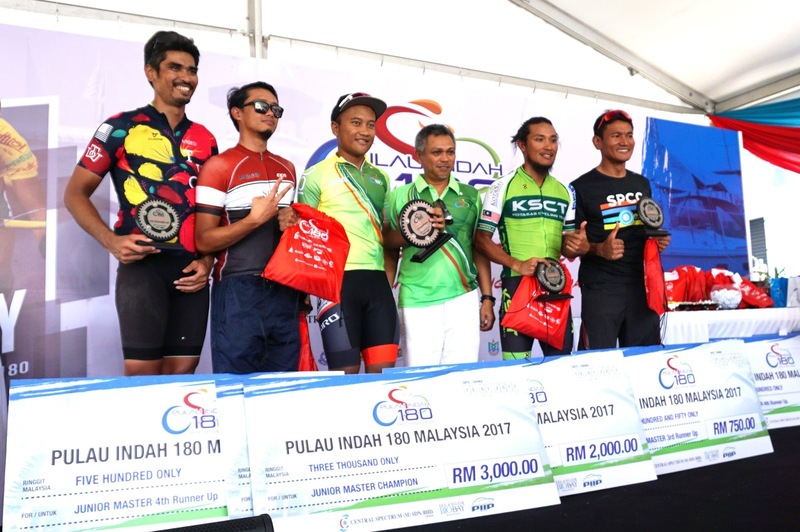 PULAU INDAH, 15 JAN 2017 : Over 1,000 amateur cyclists from all walks of life converged in Pulau Indah for the first 180 kilometre cycling event of 2017 in conjunction with the upcoming Le Tour de Langkawi, scheduled to be held from 22 February to 1 March 2017. The second edition of the race saw an introduction of the team event category with an initial allocation of 30 spots, but due to the overwhelming response, organizer Central Spectrum (M) Sdn Bhd (CSSB) welcomed a total of 34 teams with 10 cyclists each. The event was attended by YAB Dato’ Seri Mohamed Azmin Ali, Menteri Besar Selangor and saw him joining other cyclists during the flag off. 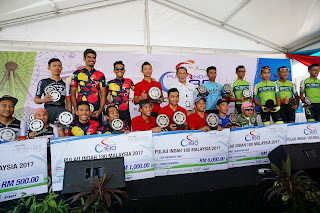 The route starts from CSSB’s Office, Pulau Indah, taking riders through Selangor Halal Hub, Pulau Indah Industrial Park and into the Pulau Indah Highway to Banting, Jenjarom and across to Olak Lempit, Sepang, Sungai Pelek, Bagan Lalang Tg. 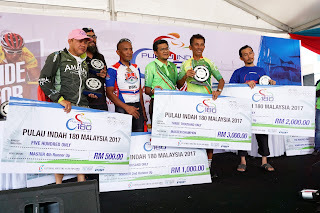 Sepat and Morib then returning to Banting towards Teluk Panglima Garang, Jalan Pandamaran and back to the island crossing Pulau Indah Highway and finishing at CSSB’s Office, Pulau Indah, covering a total distance of 180km. 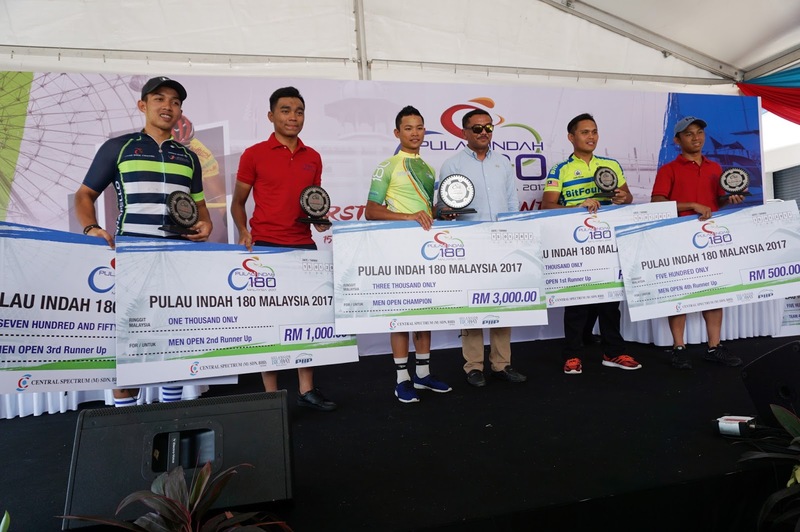 There were five categories in contention with a total prize money of RM 40,000 up for grabs; Men Open (18 – 35 years), Women Open (above 18), Junior Master (35 – 44 years), Master (45 and above) and the new Team Event categories. The event managed to attract local amateur cyclists as well as international participation from 17 countries. Chief Executive Officer of Central Spectrum (M) Sdn Bhd Mahmud Abbas, said that one of the key aims of this event is to promote Pulau Indah as a destination. Pulau Indah has the potential to become a place where one can live, work and play. The island is not only known for its industrial highlights such as Westports and big manufacturing companies such as F&N and Massimo Bread, but it also has a residential and commercial component to it. Pulau Indah is also known to be a very good fishing location and famous among fishing enthusiasts. The CEO wants to see Pulau Indah 180 (PI180) attracting more foreign participation in its coming series. As he said it "Every time I do a promotional trip abroad, I would without fail promote Pulau Indah 180 as part of our product". This is to build the branding of PI180 which saw tremendous spillover effect for the island. Local business owners and operators sees brisk business during the event. Local homestays and nearby hotels are full in anticipation of the event, while restaurants and shops selling local produce are busy with customers. This makes Pulau Indah 180 something to look forward to every year for islanders. 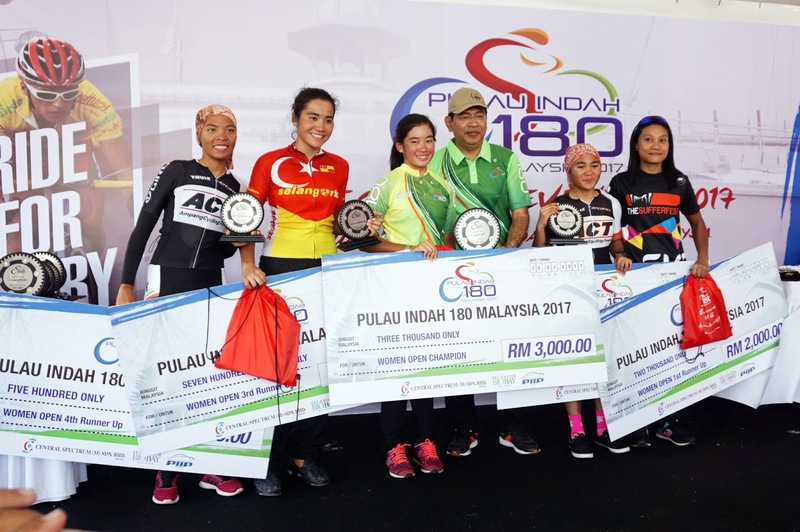 “Pulau Indah 180 is a pre-event promotional ride and also serves as a test run to make sure all our system run smoothly in preparation for Le Tour de Langkawi, coming this February. 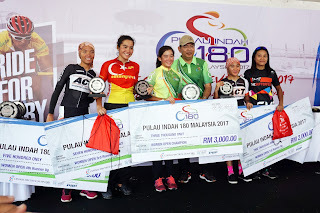 Our team made sure the organization of Pulau Indah 180 is run according to an international standard in compliance with UCI regulations; featuring professional race facilities that include race communication, commissaires and team cars.” Emir added. 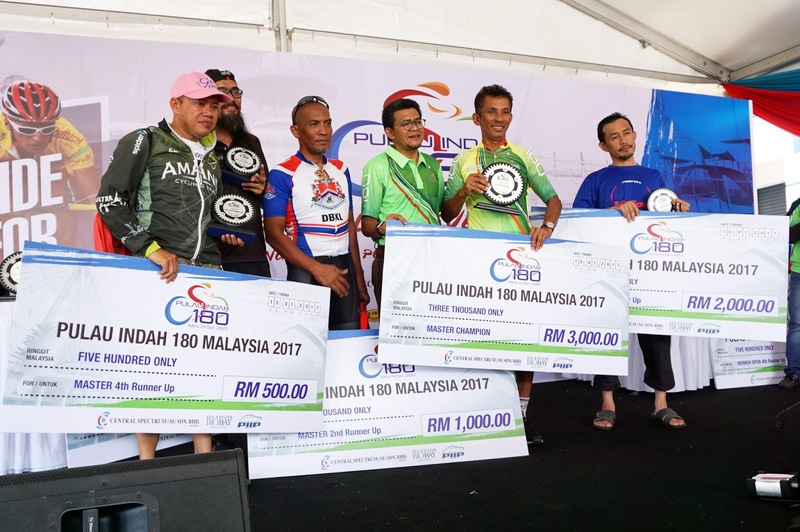 Pulau Indah 180 is managed by Ciclista Sports Sdn Bhd, and supported by Majlis Perbandaran Klang. PKFZ, Selangor Tourism, Ramly, CSM, Garmin, Cycling Malaysia, RockTape, TireCare, FFM, 100PLUS, GURU, N8 Sport Nutrition and SUNPLAY.